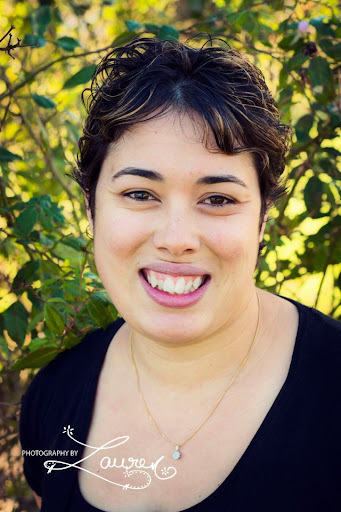 As a social worker, Alison Taylor has a passion for protecting children and seeing that justice is served on their behalf. But when she starts getting harassing phone calls and bizarre "gifts," it seems she may be the one in need of protection. When her tormentor's attentions take a violent turn, her brother Cole comes to her aid, along with his new partner, an ex-Navy SEAL, Detective Mitch Morgan. As her relentless stalker turns up the heat, Mitch takes a personal interest in the case. Protecting Alison has become more than just a job--because his own happiness now depends on keeping her safe. Ages ago, I realized I had started reviewing Irene Hannon's first six books published in Inspirational Romance Suspense. I only got the first four done! Lucky for me, I decided to reread Deadly Pursuit and Lethal Legacy and it was wonderful to discover that I hadn't reviewed them, like I thought I had. 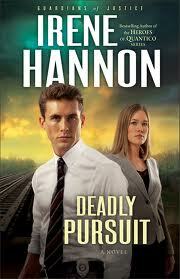 So folks, here is my review of Deadly Pursuit. My second favourite in the book in the Guardians of Justice series. Having met Alison in Fatal Judgment, it was really good to get to read her story. I like Alison, she's spunky and strong without being too much of either. She's a great central character and Irene Hannon does a great job of giving her depth and emotion, especially as she deals with her life after the car accident. When she meets smooth as honey Mitch (this is one smooth talker - but in a good way! ), her personal safety is being threatened. Mitch and her brother Cole set out to find the person behind the threats. Mitch is an interesting hero. He's not my favourite that I've come across in Irene's books. He's got some awesome lines though that just turn Alison to mush and would probably make any girl fall for him. He's a strong character, someone with values and a strong sense of justice. As much as I liked him, he didn't quite capture me fully. Who knows, why really? Maybe, I've met some other hero's that just captured my attention from the get go and Mitch didn't quite make it for me. That's not to say he's not a good character just not my favourite. But I'm sure there are others out there that adored him as much as Alison does! The pace of the novel moves along nicely and tension is built steadily as the novel progresses. Overall, a solid read! Finally I must give a warning out to animal lovers. There is a scene involving animals that might cause some readers distress.